Rutgers Biomedical Engineering Students Work with University Physicians New technologies for improved surgical tools or systems that speed access to time-sensitive pathology reports may well come from undergraduates working side by side with physicians in teaching labs and operating rooms. 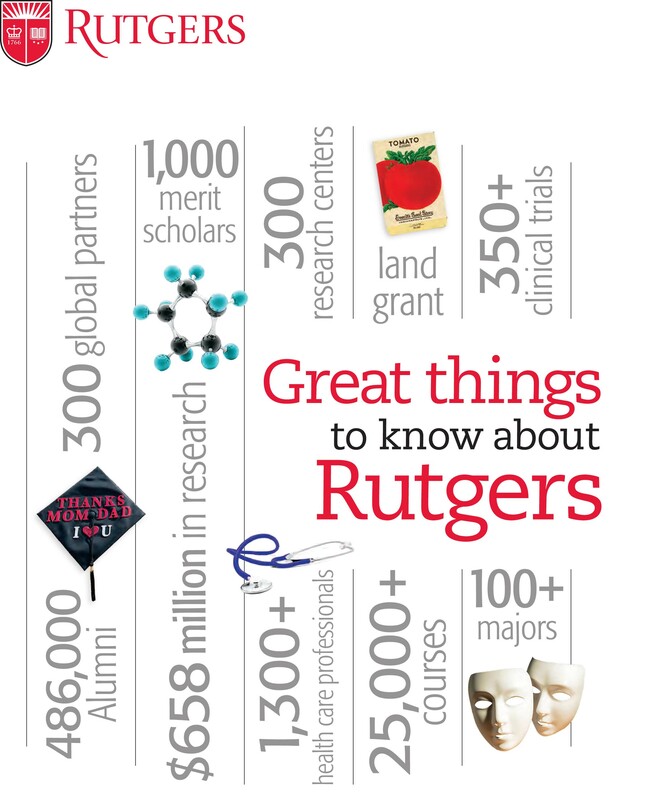 Such novel ideas spring from a program piloted in 2013 – and expanded this year – in which Rutgers biomedical engineering students gain real-world perspective by interacting with Robert Wood Johnson Medical School faculty and teaching-hospital physicians. The students, all fourth-year undergraduates, observe how physicians work and digest their wish lists for tools that could improve their operating room effectiveness. The students then apply that knowledge to their senior design projects, developing technologies that meet practical needs. The aim: to benefit medicine and health care and, most notably, make surgery safer and more efficient. One student, for instance, proposed a portable pathology device to analyze tissue in the operating room to avoid having it sent to a lab elsewhere in the hospital, which could prolong surgery and increase the risk of infection. Another suggested replacing traditional operating-room lamps with more flexible, light-emitting diode (LED) technology that can better target the visual field. And several students suggested ways to modify surgical tools that would make them more durable and easier to use in a crowded, fast-paced operating-room environment. The physicians welcome the students’ perspectives. A typical reaction is: “I want to work with your engineers to help me solve a problem – who’s available?” said Engelhardt, who is also executive director of the Center for Innovative Ventures of Emerging Technologies (CIVET), an organization that helps Rutgers innovators pursue opportunities to commercialize their work. The pilot program, “Innovative Senior Design,” was tested in 2013 on a small scale, with nine students tackling three projects, and seed funding from the National Institutes of Health. This year, Engelhardt and biomedical engineering professor Francois Berthiaume expanded the program to include 25 students representing eight projects. The program received additional funding from the National Collegiate Inventors and Innovators Alliance. “While all of the projects are technically strong, we look for projects that have the most clinical relevance and commercial potential,” Berthiaume said. The clinical-immersion component – the time students spend observing in medical school laboratories and operating rooms – lasts two weeks between the fall and spring semesters. Most of these firsthand experiences take place at Robert Wood Johnson University Hospital, a 600-bed academic medical center and the principal teaching hospital of Robert Wood Johnson Medical School. The hospital is the hub of a clinically integrated medical campus that includes the National Cancer Institute-designated Rutgers Cancer Institute of New Jersey, the Child Health Institute of New Jersey at Robert Wood Johnson Medical School and The Bristol-Myers Squibb Children’s Hospital at Robert Wood Johnson University Hospital. One student, Bianca Pineda, said that shadowing physicians, nurses and other operating-room staff was valuable because she was able to meet and speak with the people she wants to serve as a biomedical engineer. She felt her time with George Batsides, a cardiothoracic surgeon from Robert Wood Johnson Medical School, was especially enlightening. Jonathan Sparrow-Hood, who anticipates a career in the medical-device industry, found the program “one of the most applicable experiences for what I’m going to be doing after college.” He and many of his fellow students perceived it was taking too long to re-sterilize instruments or open new disposable instruments during surgery. “There is a lot of room to streamline the process flow, to have surgical tools available when needed,” he said. Jayana Kenana, a student who participated in 2013, said her favorite part was being exposed to research laboratories at Robert Wood Johnson Medical School. She recalled a biomedical engineering graduate student collaborating with surgeons on new ways to repair damaged menisci, cartilage-like tissues that cushion the ends of bones in joints such as elbows and knees. “I thought it was so cool that a graduate student worked in such close proximity with practicing doctors,” said Kenana. She said it shows the need for integration between engineers and health care professionals. “We found so many great opportunities to innovate, and we want to share this perspective with other students around us,” she said. At the end of each term, faculty members judge whether the projects their students worked on are mature enough for commercialization. Is there a working prototype? A defined market? Viable revenue forecasts? Projects that aren’t ready can be refined by the following year’s students. Otherwise, CIVET staff will work with the faculty members to commercialize their technology, whether by providing support for final designs, networking with industrial partners or helping them form a business. In fact, CIVET has started taking these steps with a stroke rehabilitation device. Engelhardt and Berthiaume credit associate professor Ramsey Foty and assistant professor Tomer Davidov, both in the Department of Surgery at Robert Wood Johnson Medical School, for supporting the program and recruiting colleagues to participate in its clinical immersion segment. “As a surgeon, I find it useful to have young students with different perspectives who can recognize when things are not working as smoothly as they could be in the operating room and can come up with ideas on how to innovate,” said Davidov, a general and endocrine surgeon who believes the program showcases the benefits of integrating the medical schools with Rutgers. “There will be further collaboration that will lead to true medical device innovation,” Davidov said. Foty, a developmental biologist who studies the properties of cancerous tumors, said the clinical immersion experience shows students what they can provide to the clinical community. Cardiothoracic surgeon George Batsides, center, discusses heart devices and surgery procedures with biomedical engineering students Sonali Ahuja, left, and Bianca Pineda.